Automated Packaging Specialists | PAK Automation Ltd.
Twenty five years of engineering experience, automated packaging expertise and an in-depth knowledge of state-of-the-art technology. Pak Automation is a family owned business, established in 1983. Originating from a strong engineering background PAK Automations has specialised in electronic control systems, the basis of which are at the heart of every modern, automated packaging system. The company has kept abreast of developments in the electronics industry and now utilises state of the art control techniques available from programmable controllers. From the first nut and bolt for the support framework through to software needed to control the complete system, Pak Automation’s in-house capabilities enable us to complete any project from start to finish. Combining computer aided design with practical engineering experience, Pak Automation’s in-depth knowledge of industry and its requirements enable us to take the clients specific needs and build a complete system tailor-made for those needs, from plant layout to plc, control systems. Our capabilities do not stop at high end design. A highly qualified team of experienced engineers ensure that the construction of the system is carried out to the highest possible standard. Stainless steel fabrication, milling and turning are all done in house. CNC machining and CAD/CAM are utilised for our component manufacture. Pak Automation having gained an in-depth knowledge of your specific requirements through advance design and manufacture of a custom made system will install your system using highly trained engineers. Working hand in hand with the machine operator’s guarantees maximum output from your newly installed system. At Pak Automation we have full technical knowledge of all equipment supplied by us. Our service to the client does not end after installation. Being customer driven ensures quick and efficient service when and where needed, including upgrades of existing equipment. Pak Automations present business is split between systems wholly designed and manufactured in house and agency equipment that can be modified to suit specific needs. This award winning combination ensures supply and service of quality equipment including labelling, check-weighing, from semi-automatic to fully automatic high volume systems, and metal detection systems. We never fail to meet your packaging needs. 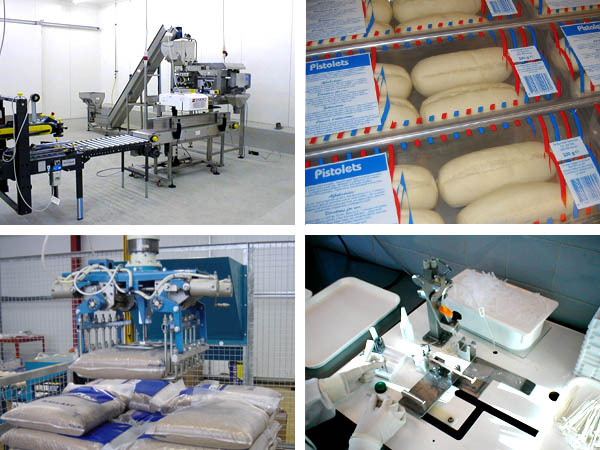 Pak Automation is a hands on company providing single source solutions.